War is peace. Freedom is Slavery. Ignorance is strength. These are the three slogans of the Party. There are two different Parties that follow the same rules, but those rules are enforced more strictly on one Party more than others. With the Inner Party being higher in authority than the outer Party, the outer Party are the ones more strictly prohibited by those rules. Yet both Parties are responsible for the citizens being fed constant propaganda. People can’t expect to see the truth if it is hidden from them behind tall, thick walls of lies. This is the issue in the world of Oceania which is full of citizens that are blind to the truth. Almost everyone is oblivious and just follow whatever the higher up Party tells them to do. Except for the main character Winston who is against the party. But he is only one man, with an unpopular view of the seemingly almighty Party. 1984: Censored Existence by Diego is licensed under a Creative Commons Attribution-ShareAlike 4.0 International License. I like your take on 1984. Although I don’t think killing everyone is the best answer, I think it would be a good idea to remove the proles and allow them to live in a society that is similar to one today, where they have more free will. There are many reasons why this is a good idea. For one, they are the ones least influenced by the Party. They managed to keep some of their humanity and freedom. Although it may not seem like they are free in any way, they did not succumb to the Party’s ideals and lifestyle, so they kept personal freedoms. Second, in my opinion, the biggest issue in the novel was that Winston felt like he was alone in thinking that the Party was evil. They worked so hard on making him believe that he was alone and stupid. If somehow the proles were brought together and guided, they would be strong in numbers and in their beliefs. They would be able to work together to better the society. Diego, this was a very interesting idea you presented in this post. I especially liked when you said that “both Parties are responsible for the citizens being fed constant propaganda,” because even though the inner party orchestrates it, the outer party contributes just as much. While I don’t think that completely destroying Oceania as a last resort is a good idea, I agree that the first step would be to use the power of the proles against the party. Here is an article you might enjoy: https://ingsocforstudents.wordpress.com/2014/12/16/if-there-is-hope-it-lies-in-the-proles/. I really like this idea of people not being able to even expect the truth from their government. 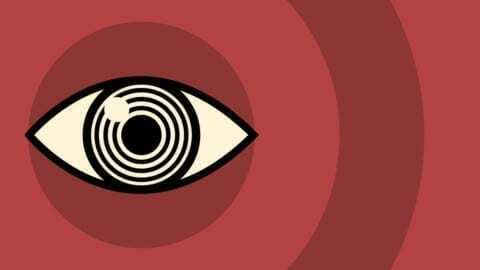 The way that you utilized 1984 and applied it to a real-life scenario is very interesting. Though your plan to wipe out the inner party is violent, it is very thorough and detailed.